While it’s too late to sell Christmas articles to magazines, some websites and blogs may still be interested in your seasonal ideas. As you drink a frothy hot chocolate, feel the warmth of the crackling fireplace, and gaze at candles and twinkle lights, grab a small notebook because it’s the perfect time of year to create a list of seasonal ideas to pitch to magazines, blogs, websites, and book publishers – all year long! Keep making notes while you deck the halls (decorating mags), bake for your family (cooking mags), experience mayhem with relatives (women’s and self-help publications), perhaps experience disappointment with a popular new toy (product review publications), and so much more! How to KEEP WRITING through Holidays, Special Events, and More! Writing Santa Letters For Money, Earning Extra Cash During The Holidays, And So Much More! 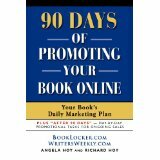 11 PAYING SEASONAL MARKETS FOR WRITERS! Pays royalty – 50 percent; copy sales – 10 percent. Pays $25 for weekday meditations ($10-15 if they use your submission as part of a group or as a reflection for another meditation). Pays $100 for articles. Publishes a variety of religious articles and meditations. Publishes several seasonal pieces and issues throughout the year. Pay varies. Buys all rights. Publishes the ‘Christmas Extravaganza’ and ‘Easter Lilies’ series of books. Pays $30 for 250-300 words. Where Can I Find Quality Paying Markets?